The Fly Fishing Shop: Here we go, trout time again!!! Here we go, trout time again!!! Well it is almost here, the trout opener is coming up quick!!!!! Are you ready??? The crew at The Fly Fishing Shop are, and ready to help you make the most of your day outing or week long trips to where ever you might be going for the start of your season. I am going to provide a list of thing I would make sure I had to be ready. For some of you anglers out there it has been the better part of a year since you might have been out fishing. Make sure you are full up on all need leaders, and tippets.. Be sure you find your nippers before you leave your house. Might even be a good idea to look at the condition of your fly line to see it if may need a cleaning or be replaced. Reorganize all your boxes saving time on river is never a dumb idea. Floatant, weights, and indicators are on the list as well. Last but never least Make sure you have a new 2013 fishing license, would be a rough start to any ones season with a bad meeting with the police. Now lets get to the good stuff. Fishing in the spring this year has been good. There have been a few opportunities for dries and in the near future more are to come, but nymphs have been the ticket on both the Lower Deschutes and the Crooked. 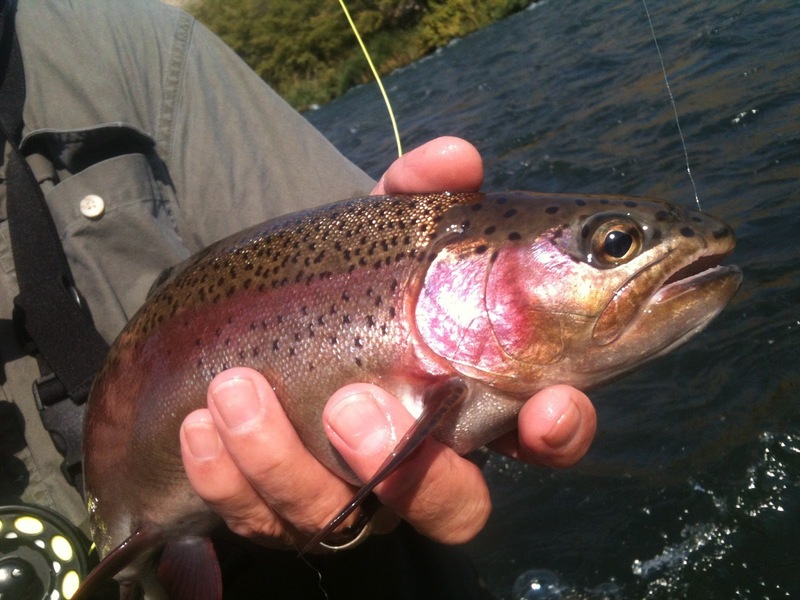 The Owyhee has been good for all types of methods, oh yes even streamers!!! The Deschutes has been producing well with a smattering of larger nymphs and colored droppers. Red, purple, and blue have been producing well, Lightning bugs and colored princes with sizes in the 10 to 16 range being the most productive. The Crooked is fishing well and we are seeing good sized fish this year too. Subsurface is always productive there but the Mothers day Caddis are a fun time to fish dries and any dark size 14 caddis should work as these fish will be more than willing to take off the top during any decent hatch. Other than that your standard patterns are working well olive midges and small copper johns are a sure thing and maybe going a size smaller would not hurt either.... Just saying. Nothing Like the first Redside of the year!!! If you need anymore info just call the shop or simply stop in on you way over the hill to where ever you might be going fishing. Tight lines from all of us here at the shop. 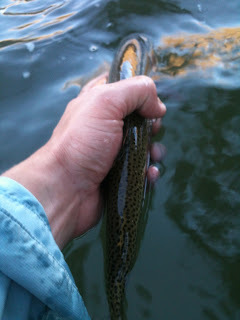 It is the trouts time of year! !